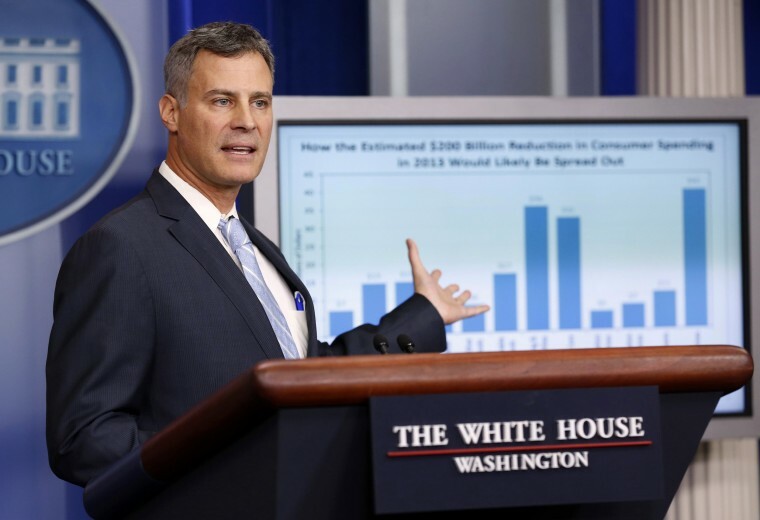 Alan Krueger, a groundbreaking Princeton University economist who served as a top adviser in two Democratic administrations, died over the weekend, according to a statement from the university. He was 58. The cause of death was suicide, Krueger's family said in a statement released by Princeton. “It is with tremendous sadness we share that Professor Alan B. Krueger, beloved husband, father, son, brother, and Princeton professor of economics took his own life over the weekend," the family said. "The family requests the time and space to grieve and remember him." Krueger was an expert on the labor market and, in particular, the impact of a minimum wage. His research concluded that a higher minimum wage did not generally slow hiring as many conservative critics have argued. "Over the weekend, America lost a brilliant economist, and many of us lost a dear friend," Obama said in statement Monday in which he warmly remembered his former colleague. "Alan was someone who was deeper than numbers on a screen and charts on a page. He saw economic policy not as a matter of abstract theories, but as a way to make people’s lives better," Obama said, adding that, "through it all, he had a perpetual smile and a gentle spirit — even when he was correcting you." "That’s what made him Alan — a fundamentally good and decent man," Obama said. But Krueger was perhaps best-known for his research on the minimum wage with David Card. Their 1993 paper found that a rise in New Jersey's minimum wage had had no effect on employment in the state's fast-food sector compared with the same sector just across the state line in Pennsylvania. Gene Sperling, who worked with Krueger in the Obama administration as the director of the National Economic Council, tweeted: "Just shocked, just stunned, so, so saddened."